Shout out to all married couples! Get a chance to win a couple’s massage + free dinner and overnight stay with breakfast this Valentine’s day for you and your better half! 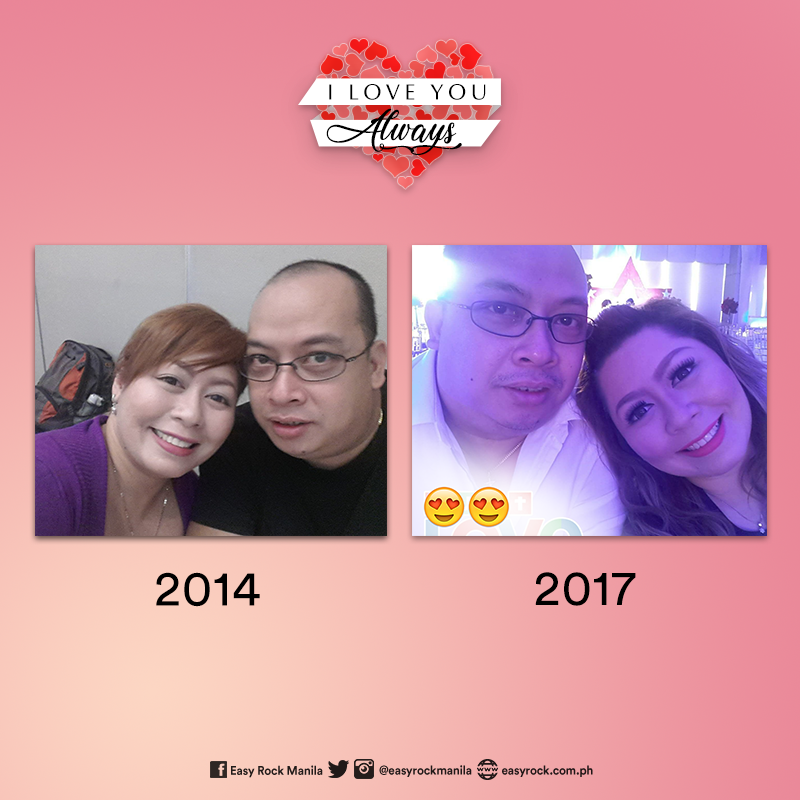 a) Post a photo collage of an old and recent photo of you and your partner in our Facebook page’s thread for I Love You Always! b) Post the photo collage on Twitter or Instagram with our official hashtag in the caption: #ILoveYouAlways963. Just make sure that your accounts and posts are in public. 2. For your entry to be valid, make sure that you like our official Facebook Page or you follow our official Twitter and Instagram accounts @easyrockmanila. 3. The most creative and cheesiest photo collage will get the chance to win special Valentine treats from 96.3 Easy Rock! 4. Winners will be announced on February 12, 2018.